I just unloaded my purchases from a short trip to Chicago and the surrounding area. I went several places, but that's a story for another day. Today I just want to talk about my little pink vase that I bought for $1 at a thrift store in Geneva, IL. 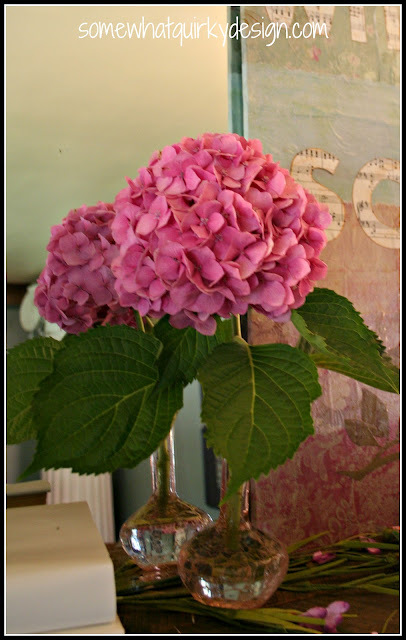 I thought it would be beautiful holding a single hydrangea blossom. That's a song - isn't it? 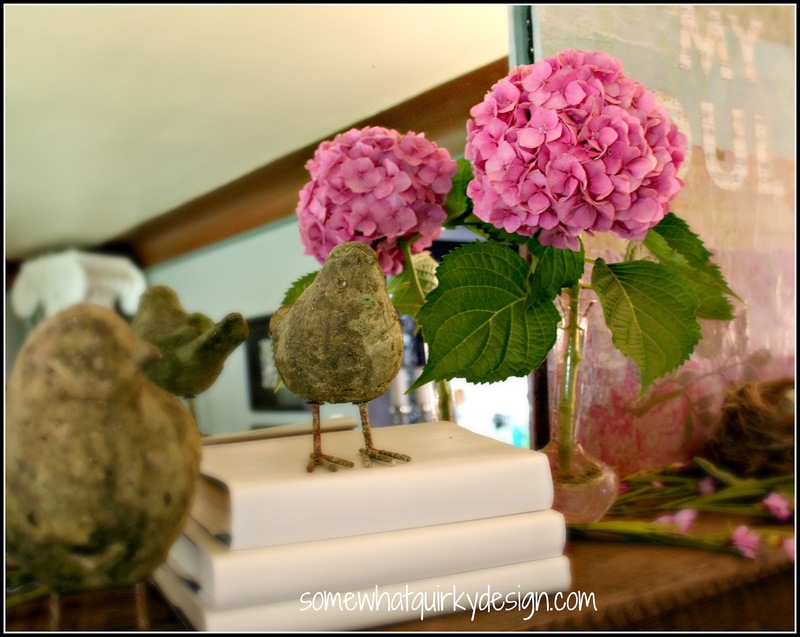 How perfect is that vase for a single hydrangea or a rose or any beautiful flower? I love its simplicity. It makes a very pretty setting. I just visitied Chicago about a year and a half ago. It was cold and I was too early for the botanical gardens which means I will have to return some day. I love your whole vignette! The vase is adorable and the gorgeous hydrangea looks perfect in it! It's perfect for that bloom! Some might have gone with a little bitty bloom because of the size of the vase but you made the right call with a big oversize bloom...looks great!